HE Amb. Musa KULAKLIKAYA, Director General of SESRIC, attended to the Special Event on ‘The Data Revolution for the Sustainable Development Goals’ as a pannelist on 19 July 2017 which was hosted by the High Commission for Planning of the Kingdom of Morocco and the Ministry of Development Planning and Statistics of the State of Qatar in the margins of the 61st ISI World Statistics Congress (WSC). HE Amb. 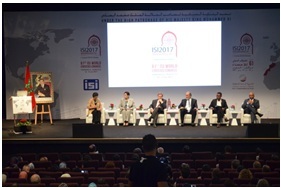 Musa KULAKLIKAYA was joined by Ms. Haishan FU, Director of Development Economics Data Group of World Bank (as Panel Moderator); Ms. Ola AWAD SHAKSHSIR, President of the Palestinian Central Bureau of Statistics (PCBS) and President of the International Association for Official Statistics (IAOS) for the term 2015-2017; Mr. Enrico GIOVANNINI, Full Professor of Economic Statistics at the University of Rome ‘Tor Vergata’; Mr. Molla Hunegnaw ASMARE, Statistician at the United Nations Economic Commission for Africa (UNECA); and Mr. Sabir Said Al Harbi, Director General of the Statistical Centre for the Cooperation Council for the Arab Countries of the Gulf (GCC-STAT). During his address, HE Amb. Musa KULAKLIKAYA focused on the top priorities for promoting data revolution for the SDGs in terms of the role of SESRIC, the unique role of the ISI community in supporting what SESRIC is aiming to achieve in the SDGs period, and the contributions of SESRIC in enriching the statistical skillsets among the National Statistical Offices of OIC Member Countries. 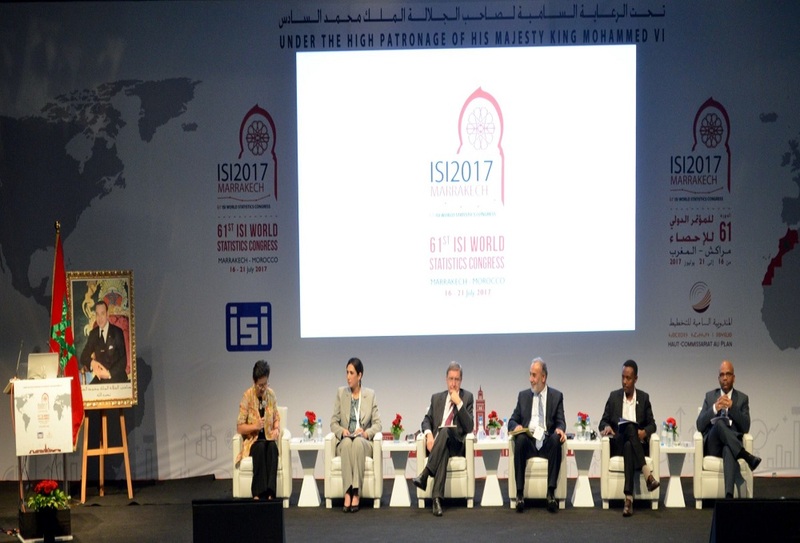 Organised and hosted by the High Commission for Planning (HCP) of Morocco on 16-21 July 2017 in Marrakech, Kingdom of Morocco, the biennial WSC is the flagship conference of the International Statistical Institute (ISI) and its seven members associations. The 61st WSC brought together statisticians and members of the statistical community from the five continents to present, discuss, promote and disseminate research and best practices in every field of statistics and its applications. The 61st WSC featured around 300 sessions to include Invited Paper Sessions (IPS), Specific Topics Sessions (STS), Contributed Paper/Poster Sessions (CPS), and Lunch Round Table Discussions (LRTD). Short courses and Satellite Meetings were also additionally organised in conjuction with the Congress. The ISI was founded in London in 1885. The ISI has seven associations under its current structure with over 4,500 members from over 100 countries. Besides the biennial ISI World Statistics Congress, the ISI Regional Statistical Conferences also serve as a platform to promote statistics in different parts of the world.